In 2006 a frustrated amateur astronomer was looking for a dark sky site to observe. Living about 10 miles north of the airport in Tampa, there wasn’t much opportunity for viewing from home. A search of available properties relatively close to Tampa resulted in locating an acre of land in the strawberry fields of Eastern Pasco County. The property had electric service, water well, and a septic. All the basic requirements. The property was purchased and with the help of fellow enthusiasts was set up as an observation area and camp ground. Local astronomers are welcome to join us on scheduled observing nights. There are other observing opportunities which are announced via the email list. A small contribution is expected each time you come to help pay for the gas to run the mower, the electric bill, and the paper towels. If there are chili dogs being served you are welcome to them at no additional charge. Normally there is water and some soft drinks in the refrigerator, but they sometimes run out. Schedule no longer listed here. 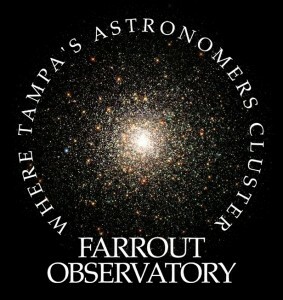 Join email list or check Face Book Farrout Observatory group for announcements. 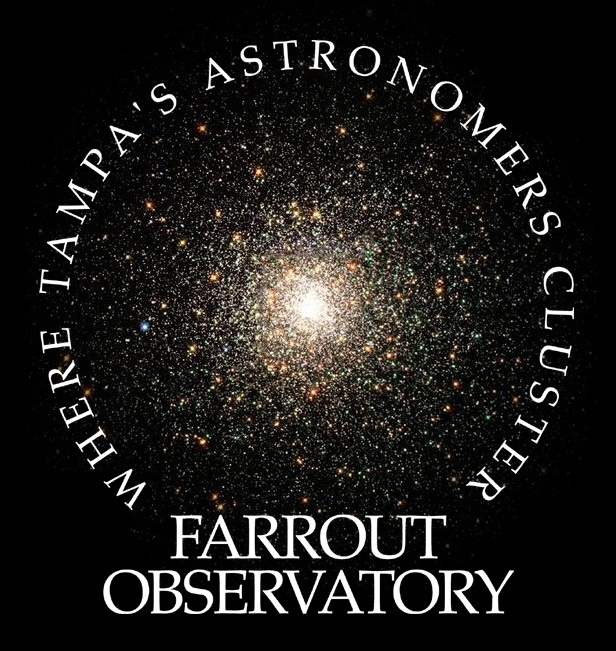 Click here to send an email to subscribe to the email list and receive updates and information about events at the FarrOut Observatory. If that does not work, you may send an email directly to farrout@farrout.org.